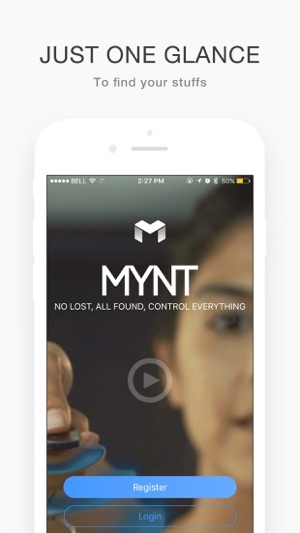 MYNT – The World’s thinnest and most powerful smart tracker and finder. By working together with its smart phone app, MYNT can remind you not to forget important items, remote control your smart phone camera to take pictures, wirelessly control your smart phone to play music, and control PowerPoint or Keynote presentations on your Mac. - Stainless steel body: high-end and stylish metal enclosure, matches your iPhone and Mac very well. 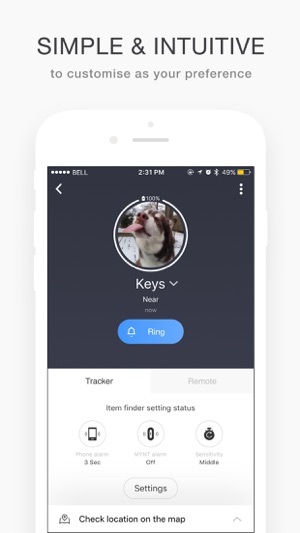 - Bi-directional tracker and finder: To find MYNT, the smart phone app shows the distance in real time and you can also have MYNT beep; To find your smart phone, long press the button on MYNT, you smart phone will beep. - Alarm when exceeding pre-set distance: You can set the safe range for each MYNT, when MYNT is out of such distance, both MYNT and your smart phone will alarm you, so you won’t lose them. 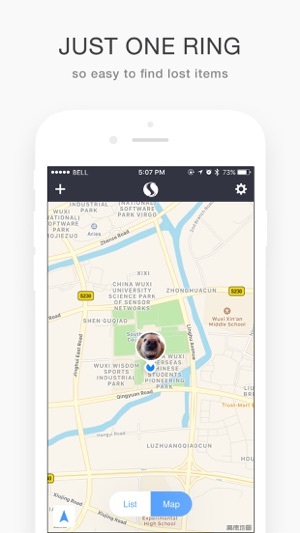 - GPS Tracker: When MYNT is disconnected from your smart phone, MYNT smart phone app records such location on the map. Continued use of GPS running in the background can dramatically decrease battery life. MYNT app only uses GPS when the map function is called, or when you are losing your MYNT device, so the battery usage is minimum. - Wireless camera phone remote shutter: Use MYNT to control you smart phone to take pictures of yourself or the entire group, no need to ask help any more. - Music remote controller: Having these music box using iPhone or iPad, or just want to control the smart phone music playing remotely, MYNT is your music remote controller. - Super low power Bluetooth 4.0: Only need one CR2020 button battery (can use one year). - Continued use of GPS for locating where you lost your items in the background may increase battery consumption. Mynt is simply great! "Tile" is a clunky, wasteful, expensive, limited, piece of technology. Wish I had found Mynt first. I had wasted money on 2 Tiles that are both now dead, "Replace your Tile" - NO, I will replace my Mynt batteries for a couple dollars. I prefer Mynt over Tile without question first because the fobs cost far less, the batteries are cheap to replace - you have to buy new Tiles every few months. The Mynt fobs are much thinner, smaller, lighter, than Tiles. Plus the Mynt fobs are black, don't show wear or dirt like white Tiles. And the Mynt fobs can do cool stuff - shutter release for pics etc. It's a no brainer!! 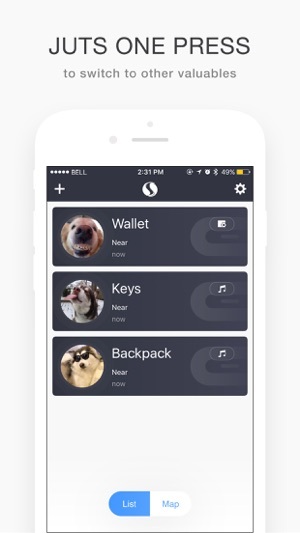 I haven't used the Mynt fob for more than tracking my keys etc. Haven't tried it for controlling my devices. I have a iPhone 5s. No issues ever with connections or tracking. But one thing Mynt did that Tile never has - I went out to walk my dogs without my keys as usual - after I got a few yards away from my home, Mynt asked if I had forgotten my keys. Stellar!! One day that will be very helpful. Buy to husband of, just receive feeling good mini ah also compare small and delicate. I won't set it up at the beginning. I will contact the customer service. I have set up a very good store, and the customer service is very good. It is now recommended to other friends. It's a little bit expensive but it's worth it.